Most students around the world are forced to pay soaring tuition fees to access education. Some countries offer this for free. An even smaller number not only provide free education, but also pay students grants to attend higher education and university. Malta is one of them. The hope is that by paying students to attend post-secondary institutions, each young adult has equal accessibility and opportunity to further education. It is also a great incentive towards decreasing early school-leaving rates and making Malta more attractive to investors seeking a skilled workforce. 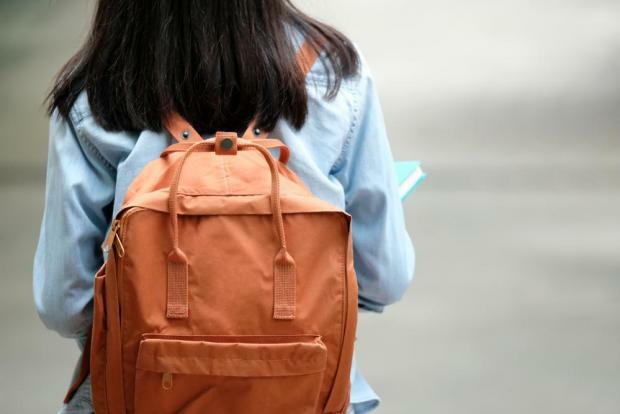 According to reports published by Eurostat in 2017, one out of ten young people in the EU does not proceed further than lower-secondary education. In Malta, 18.6 per cent of young people drop out of school at that stage – the highest rate across the EU. Although that is a significant drop from the 2006 rate of 32.2 per cent, there is still a long way to go. Bureaucratic problems are however stifling the system. What’s the use of budgeting more money for stipends, if applicants are facing brick walls? A barrage of late approvals and confirmations is preventing eligible students from accessing a stipend. One student commented “they [Maintenance Grants Board] had a fault from their end with the E-ID system and I could not apply for my stipend”. A full-time student with a part-time job working mainly weekends and holidays said they too faced problems, due to a legal clause (Clause 10 in LN308/16), stipulating that students working more than 20 hours a week, forfeit their right to a stipend. Oddly, this clause applies even during scholastic holidays. The student stated: “The number of weekly hours varies depending on the work load. I couldn’t confirm to the Maintenance Grants Board that I won’t be exceeding the 20 hours”. They lost their right to a stipend. Why are the authorities limiting the number of hours students can work to be eligible for a stipend, if they can demonstrate that they have strong time management skills? Students come from different backgrounds and they should be responsible to cater for any personal requirements that go beyond necessities. The authorities should encourage eager beavers who contribute towards the country’s economy. This is especially worrying when considering that when a job post is available, priority is given to those who have experience in the work industry. How are students meant to move away from a textbooks-only system, if independent work experience is flung back in students’ faces? Maybe it is financially more convenient, for apprenticeships and placements sponsors, to bridge gaps in human resources with student workers. Early-school leavers will get at least the minimum national wage of €166.22​ per week if employed, whereas full-time students on a stipend will get just €88.44 monthly, barely meeting educational expenses. Isn’t this increasing the likelihood of students working without a permit or quitting school earlier? A full-time mature student and a father of one, was also not granted the stipend due to his employment position. “I’m not eligible for such a system as I’m self-employed”, he said. This would appear to be contrary to Subsidiary Legislation 327.178 which entitles mature students in full-time attendance to the grant provided they are the principal breadwinners in a household. Additionally, L.N. 308 of 2016 also states that self-employed people, registered as full-time students, can still benefit from such a system. Discrepancies in how the stipend system is managed between two main institutions in Malta, the University of Malta and MCAST, also arise. Sentiment among MCAST students is that eligibility is centred around UoM, while they face more limitations and less stipend flexibility in comparison to university students? How come, MCAST students haven’t yet received their initial grants, let alone the monthly stipends. Books still need to be bought, notes paid for, and assignments done. Is eligibility according to attendance only compulsory for some institutions? Why is it the students’ fault, if records upkeep isn’t being met as it should? Are we picking on an institution and closing our eyes to another? Which part of equal opportunities to education does this cover? If such a system was not in place, then we wouldn’t make use of it. The entire concept works well in principle, but what is the point of having such a system to help and encourage students, if a number of irrational clauses prohibit, exclude and set back those who should be making use of it? Isn’t it time to tweak the engine for the race-track ahead? Michaela Camilleri is a student at the University of Malta.